If you wanna give a gift to social media lovers, you may find some stimulating awards in this post! Ten years ago, the term “Social Media” hadn’t been originated yet but now our fascination towards social networks has enlarged a lot. We perform social activities to improve our business and for personal use as well. I came across few social media enthusiasts who tweet on their mobile while walking and log in to the Facebook before brush their teeth in the morning. With people becoming increasingly addicted to social networks like Facebook, Twitter, Google Plus, Pinterest, Instagram, etc. fashion designers and retailers show a keen interest to compose social media gifts for them. Let’s check some dazzling presents for the persons who would like to spend more time on social media. Presenting any of the following awesome gifts for social media addicts will make them feel happy! It’s a pretty likable party starter which would be adored by social media fans. 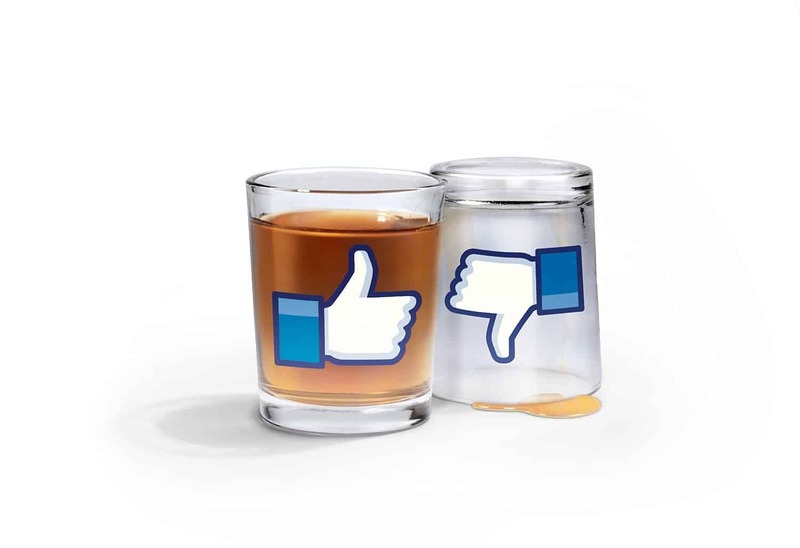 Each set contains two heavy glass shot glasses with like and dislike Facebook symbols. 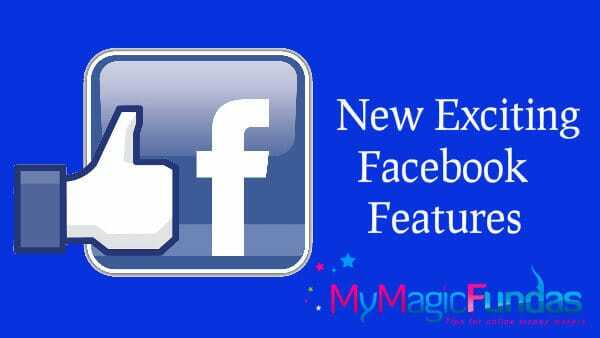 This drinkable new dimension in social media stuff can be used during the get-together. If you have a Twitter devotee friend, this would be a perfect social media present for him/her. It’s a beautiful mug with hashtag handle. This social media-inspired mug is made of Ceramic and Microwave safe. You may gift this amazing Twitter mug to your closest Twitter friend to convey your affection. If your social media mate loves the Facebook, then consider gifting this coffee mug. You would like to offer this great gift to your thickest Facebook friend. 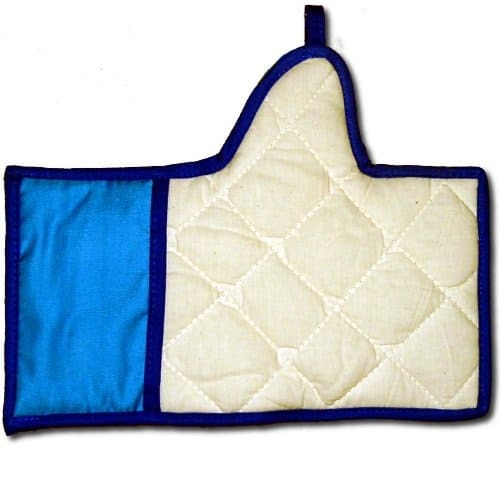 Yes, it’s a handmade kitchen mitt which resembles the Facebook like button. The filling material in this glove is natural (100% Cotton) and it can withstand the oven heat very well. Instead of giving usual gifts, you may contribute this humor product to your friends on Facebook who would like to try to different food recipes. 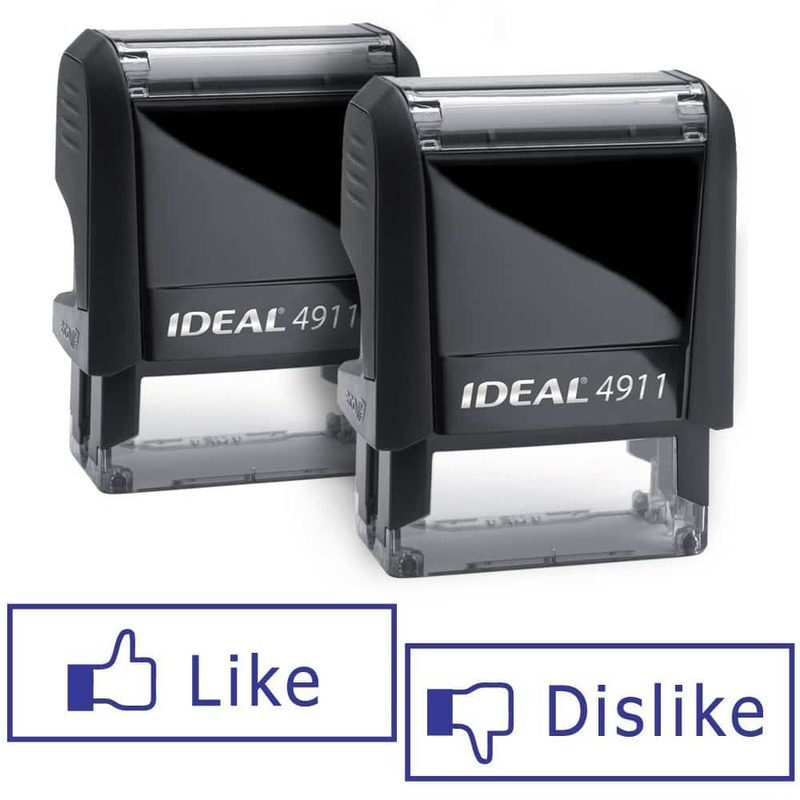 A pair of Like/Dislike Facebook ideal self-inking rubber stamp is an amusing product that will exactly suitable for social media geeks especially Facebook fans. It can be used to make thousands of impressions without re-inking. This ultimate product has been mechanically tested to meet your high volume stamping needs. 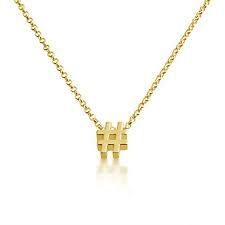 Hashtag Pendant Necklace is an amazing gift for social media lovers. 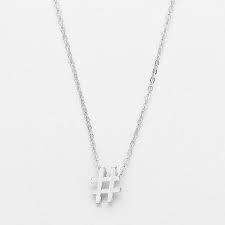 If you wanna honor your social media companion who loves to use hashtags, this striking pendant necklace would be an excellent choice. It’s a 14K plated or 925 sterling Sliver made in Downtown Los Angeles. It would add personality to any outfit and thus your social media mate will get flattered with this overwhelming gift. The art of Social Media is a short practical book on social media which encloses power tips for power users. 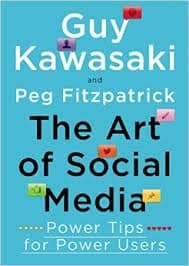 Guy Kawasaki (Chief evangelist of Canva) and Peg Fitzpatrick (social media strategist) are the authors of this Best Seller of this book in Amazon. If your friends/family members wish to learn the true art of using social media, you may recommend this inspiring book to them. This helps them to get most out of social media by offering great tips for their small business venture. I’d say that the instant print & share camera is one of the best social media gifts. This innovative camera has been specifically designed to empower the social media enthusiasts to instantly capture and share their life moments on all major social networks. Having unique QR code feature and inbuilt Wi-Fi, Bluetooth GPS connectivity, stereo speakers, LED flash and much more stuff is a notable thing in this amazing social media gadget. It uses ZINK Zero Ink printing technology and made up of high-quality life ready materials. So, if you’re wishing to present a memorable gift for your social media buddy, you may opt this ground-breaking product. It’s a peel and stick removable social media graphic which is easy to install and available in the variety of sizes. This pleasant social media gift has the ability to stick to any smooth surface as it is a paint-safe self-adhesive. Social media addicts may use this remove and reapply stickers from WallMonkeys. Not only the above-listed products, you may get a range of social media pillows at Etsy and other stirring social media gifts at Cafepress. 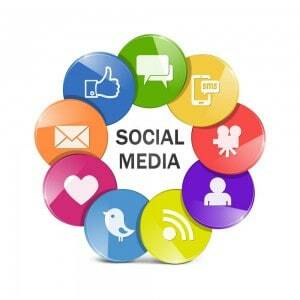 Nowadays, social media seems to be everywhere and has become a key factor in the world. Do you know when do the social media fanatics celebrate the Social Media Day? Mashable introduced the social media day in the year 2010 and it is celebrated on June 30th every year. 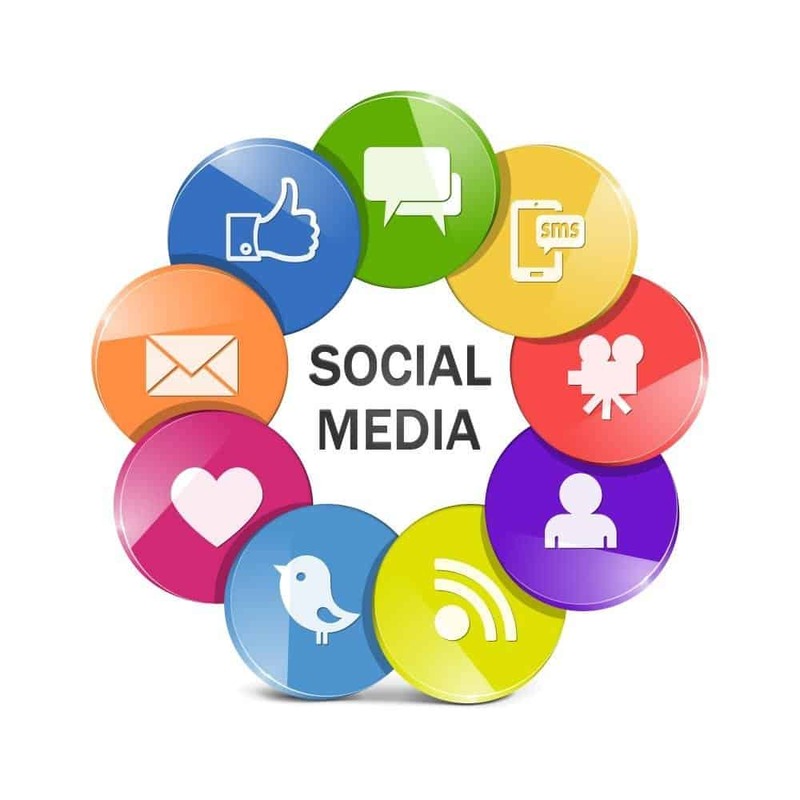 Most of the businesses follow the latest social media trends to connect and engage with their audience. 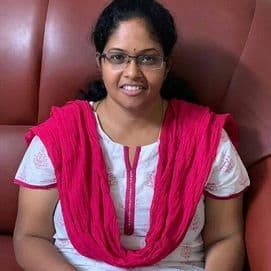 Even the normal people have started to use social networks to find the folks of the same wavelength to get new friendship and share the thoughts. If you’re wondering what to gift for your social media pals, you may consider giving the above discussed exciting social media gifts for them and win their heart effortlessly. I hope that you’ve grabbed some fun gift ideas to the social media mavens in your life. Did I miss one that should have made the social media gifts list? 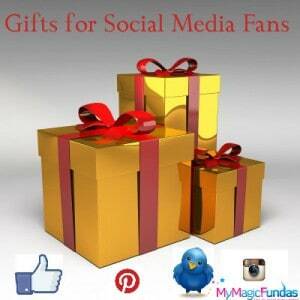 Would you like to add any other gifts for social media fans? Leave your viewpoints in the comment section. This looks interesting! If I had to gift someone so I would have gifted those stamps or the book “The art of social media”. Thanks for checking my post and glad you liked the book “The art of social media”. I’ve read the positive reviews of this book and thus listed here! I too wanna gift that awesome gift for my loyal social media followers, so thinking to run a giveaway or guest blogging contest. We extensively use social media to drive traffic and network with like like-minded people. So, it would be to take part in the celebration of “Social Media Day”. Keep visiting my blog. Thanks for sharing this with us. Have a nice week ahead! Nirmala, I didn’t knew that so many amazing social media gifts are available. Some friends of mine are very much addicted to Facebook, Twitter and Instagram. 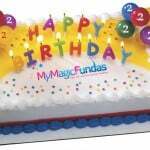 I will definitely make my friends know about these gifts which can be purchased online. You always come up with unique posts which is definitely an amazing thing. I hope that you’ll yourself buy some of the gifts mentioned by you. Thanks for shouting about these awesome social media gifts among your friends. Feeling good with your kind appreciation! Glad you very much liked the Polaroid camera to instantly capture and share the pictures on social media. Yes, this social media gift is really cool. I just wanna know, where did you land on my blog? through FB? Anyways, thanks for finding time to check my post and leaving your wonderful views as well. What an interesting post. I never think that there are gifts available as you mentioned in your blog post. All the gifts are so impressive specially love the hashmug. Its a great gift for social addicted friend. Yeah, Hashmug with Twitter bird is really awesome. I’m sure that your thickest friend/loyal follower on Twitter will love it. Welcome, have a good weekend for you too. I don’t know how I missed this post. I had seen your FB share but I thought that was an old post. 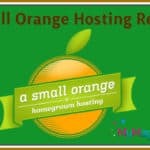 I logged into your site’s homepage but might be due to cache issue I found the hosting post still up. Giving gifts or presents is the most beautiful way of celebrating relationships maam. I think we should agree that the gifts you have listed here are awesome. These gifts will do well with the business perspective too. One can gift these things to professional friends and colleagues too. Social media inspired gifts are just wow. I think I would go with the first gift, that is the Facebook like and unlike tumblr. hahaha its so funny and it made me remeber of the glasses we used in childhood. They had smileys and one poured water (cold only) they turned to laughing smileys.lol we were crazy then and wanted to drink from those glasses only. You bring freshness to the type of blog posts you write. It’s ok Swadhin, no issues. I’m happy with your long comment, thanks for sharing your perspectives here! Glad you liked these social media gifts and yes, it would be really awesome if we present any of these affordable gifts to our thickest friends in social media. That’s funny to see the picture of Facebook and Twitter gifts, but it interesting to know about it. Seriously, I don’t know that these stuffs would be there in Amazon. I think its time for me to gift some special gifts suggested by you to some of my colleagues, who has been supporting and working with harder to get the things go special. Thank you for it. Landing on your blog for the first time. Thanks to Swadhin (our mutual friend). What a lovely post. You are right that social media presence seems to be everywhere now. I really love the hashtags mugs and facebook shots the most. Like we have angry bird, we must gift twitter bird merchandise to all. Thanks for sharing this lovely info. Have a nice week ahead. Cheers for your presence and glad you liked the gifts for social media addicts! I’m delighted that you liked all the stuff which I’ve listed for social media lovers. Yeah, its a good idea to gift any of these products to them. Thanks for your great appreciation, stay tune to write your viewpoints. Above all I like Facebook like and dislike stamp and twitter mug. BTW I never think these types of gifts are available in amazon. 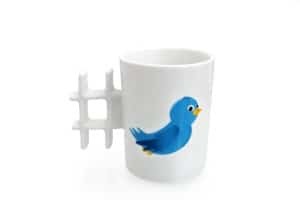 Going to buy tweet mug one of my social addicted friend. Thanks for adding your comment and sharing this post in G+ as well. I too like the Twitter mug and I’ve ordered it for my Twitter friend. Glad you’re gonna do the same. Keep reading my posts and share your valuable views. Social media has surely evolved a lot over the years, especially in this decade it has evolved drastically. And it has a huge market to earn great profits. One of the way is by selling these social media goodies. I liked the Facebook like and dislike stamp a lot, and looking forward to buy it. Thanks for coming by, keep leaving your lovely thoughts! Its very interesting ,very good idea to gift some special gifts to someone .i never think to gift someone like that. i like it..!! thanks for good suggestion . Welcome to my blog Rohit! 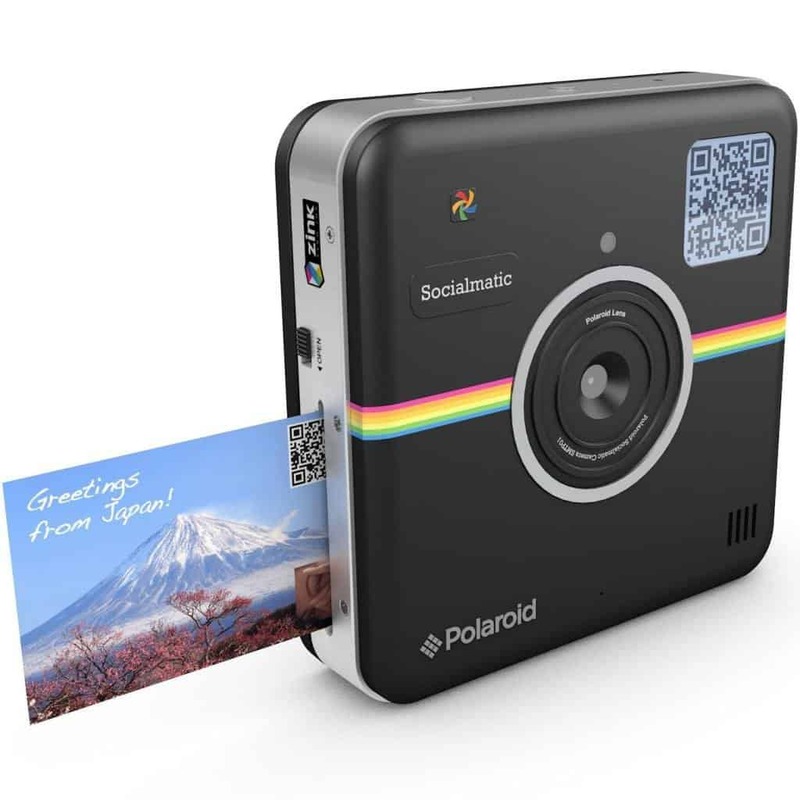 Yeah, these are attractive social media gifts that can be gifted to the social media geeks. Stay tuned to grab a lot of interesting stuff. Wonderful list of gifts and the post is really powerful enough to stimulate the readers demand. You well covered all the main benefits of each gift and a few of them pretty awesome especially the book of Guy Kawasaki I have read and it is one of the most to-the-point resource on social media. The beauty of a great list of products lies in its balanced mix by offering both premiums and freemiums. In that sense this list is wonderful. Keep sharing more and more wonderful resources for the benefit of readers and obviously I am one of them. I’ve listed some social media gifts at affordable price and thus they can be gifted to our close friends who’re spending more time on social networks. Thanks for getting time to check these products, keep coming! It’s more than enough to stimulate reader’s choice. This is really a superb cool gift choices. Nirmala, I love these gift ideas – was looking around the holidays last year and did not find much. I have bookmarked this post for future gifts, thank you! I really like the oven mitt and mugs. Accidental discovery of your website, but really cool one to gift ideas. Really hard to find these on Amazon uniqly, really glad you doing this and making our life easier for gifting. Social Media is one of the important part of our digital life, thanks for posting really awesome social media gifts out here. This is my first comment on your blog and hoping to become a loyal reader because I read some of your post and found really valuable. And to let you know that i landed on your blog through you social profile of twitter. Thanks and have a great weekend ahead!! Wonderful post, through your post i learned about giving gifts something related to social media, as we know nowadays everyone loves social media and spending majority of their time in social media, i feel these gifts would make them really happy . Haha love the like / dislike stamps. Great article thanks. How you got this idea.. Little funny as well as creativity I loved the top 4 points.. Really cool.. Thanks for this post.